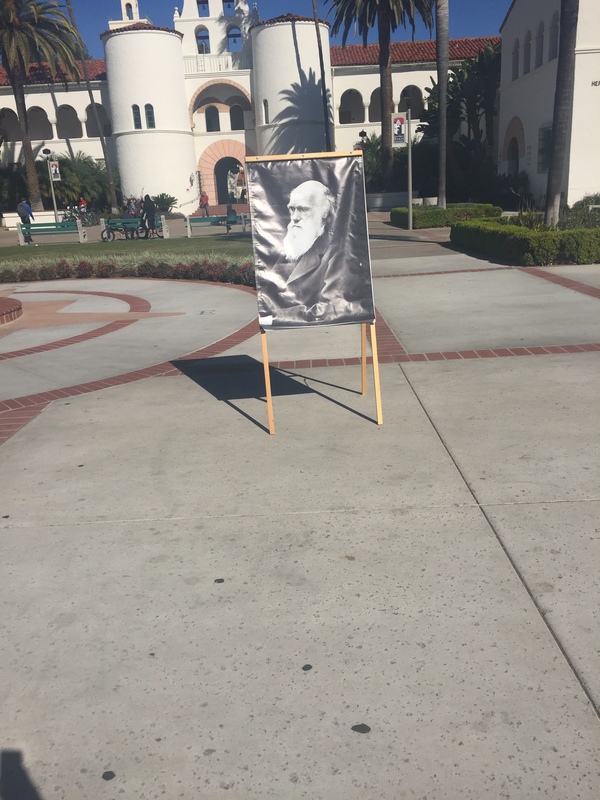 Today I was walking through campus and saw a man photographing this picture of Charles Darwin in the middle of Campus. I decided to ask him what it was about, and he doing this because today is Charles Darwin’s birthday. Charles darwin was an english naturalist and geologist. He contributed a lot to the evolution theory. HAPPY BIRTHDAY DARWIN!